While we continue to wait for the first major update for Nokia Lumia devices, Nokia are hard at work on their next major update for its Windows Phone 8 devices. The second General Distribution Release (GDR2), the first of which was codenamed Portico, will among others see several hardware enhancements for the Lumia 920 and 820. The major addition to on GDR2 will be the ability of the Lumia 920 and 820 to be woken up with a double-tap on the screen, much like what was seen in Nokia’s 2011 flagship N9. It negates the need to search for the unlock button to wake the phone, which makes it easier and faster to unlock the phone, especially with one hand. In addition, the dormant FM radio in both the Lumia 920 and 820 will be activated in the upcoming release, which was previously supported in Windows Phone 7, but for some reason discarded in the early version of WP8. 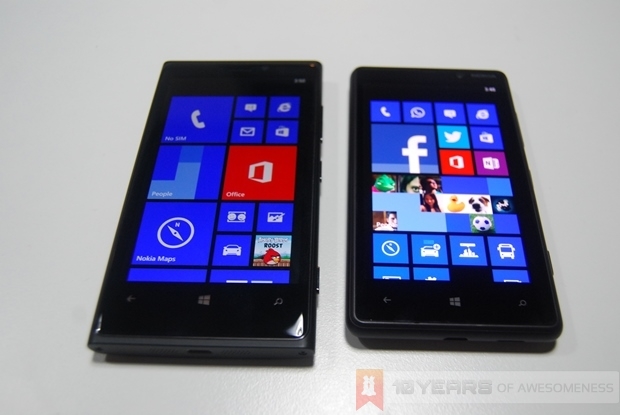 Finally, the flip to silence feature will also be re-introduced into Nokia’s WP8 Lumia devices. The Verge reports that the update will only be ready sometime in the next few months, but it will be very likely that Lumia owners here in Malaysia will be seeing this update, which is a minor one, sometime later.